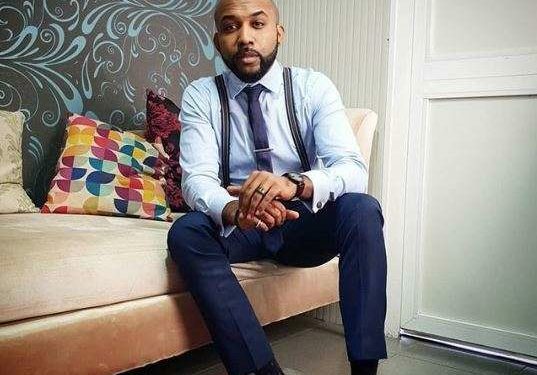 We already reported that Banky W is running for office under the platform of the Modern Democratic Party (MDP) for the Eti-Osa, Lagos seat in the House of Representatives in the 2019 general elections. The singer announced the decision to do so yesterday to a crowd at an event tagged “Play Your Part,” where he gave a speech about why he was running. The speech which was received well stated why the singer turned actor was running for office and states why his constituents should vote for him. Good evening Ladies and Gentlemen… my name is Olubankole Wellington. I’d like to start by saying a very special thank you to who is to me, on the inside and out, the most beautiful and incredible person in the world.. my wife, Mrs Adesua Etomi-Wellington. For myself, and the team behind this MDP movement – the Modern Democratic Party, I can honestly say, that tonight is a dream come true. I’ve seen that happen many times, you know? I’ve seen dreams come true; and it’s amazing everytime. I am, infact, living proof, that the unlikeliest of dreams can indeed come true. In 1981, I was born to a father from Lagos, and a mother from Cross Rivers – both of whom struggled and were it not for the Grace of God, had no business receiving University educations abroad. My Dad was an orphan, who was shuffled from relative to relative, and depended largely on a combination of street smarts, book smarts, and athletic abilities, to put himself through school, using a combination of scholarships, student loans, and multiple part time jobs. My mother’s story was not much different… born in Calabar, to a single mom, she was sent off to live with her relatives in Lagos. Through her belief in God, a lot of hard work, and sheer force of will, following her secondary education, she too earned and worked her way through University. Neither of them grew up in particularly fortunate circumstances… but they held on to a set of beliefs that I have since inherited… we believe that what you lack in wealth, privilege and connections, you can make up for with hope, hard work, and determination. My parents taught me that if you believe in God, believe in yourself, never give up hope and work hard, dreams that seem impossible, CAN indeed come true. In 1985, our family returned to Lagos. Like most families with a limited income, sacrifices had to be made. My parents realized at that time, that they couldn’t afford to rent a nice flat AND send us to a good school at the same time – it would be one or the other. And so we attended Corona Primary school in Ikoyi, while we lived on the ground floor flat of a sinking building in Akoka, Yaba. We were classmates with children of the rich by day, and playmates with children of the street by night. I remember during the peak of the raining seasons, our flat would literally get flooded and come up to about the knee level, and so Momsie would wake us up early to scoop water in buckets out of our home, before heading off to school and work. But I went from Corona Primary school to Home Science Secondary school, and in 1999, just like my parents did, I gained admission into a University in the USA that the family really could not afford. But again, just like my parents did… by the grace of God, I used a combination of scholarships, student loans, and every job under the sun that you can imagine.. to put myself through school. It took focus, prayers, a lot of hard work – everything from working in Mcdonald’s restaurant, to at one point being a door to door knives salesman – and a whole lot of hope. That courage to Hope in spite of circumstances is what helped me earn a Bachelor’s Degree from one of the top Engineering schools in the USA. Hope is what my best friend and I held on to in 2002, when we were crazy enough to start a record label in my University Dorm Room. We had no idea what we were doing, or what it would take… we didn’t know one single person in the music business home or abroad… but that’s kind of what hope and faith is all about, isn’t it? It’s about taking that first step even when you don’t see the entire ladder, or where it leads. You dream big but you start small, and you never let small minds convince you that your dreams are too big. It’s incredible what can be achieved with a dream, the willingness to work hard, and the courage to hold on to hope in spite of the odds. I’ve seen rock bottom create champions. I’ve seen grass watered until it becomes known as grace. “Hope” is almost always the common denominator. Hope is what helped a former househelp/plantain seller and a kid born blind at birth become 2 of the most internationally acclaimed and successful Music Producers, from this same Nigeria. Hope is what convinced 2 young Nigerians that they could take a company that at one point, wasn’t worth the paper it was registered on, and build it into one of the foremost Media and Entertainment Empires in the country. Hope is what convinced me that a scrawny little kid from Ojuelegba Shitta could one day become the biggest Artist on the African continent. Hope is what has helped me through 3 separate battles with skin cancer. And to me, that’s what tonight is all about… it’s about this generation having the courage to hope again, and the will to work towards making our dreams for Nigeria, a reality. That’s what we are attempting to do with MDP – the Modern Democratic Party. You see, subconsciously, we’ve kind of given up, haven’t we? As a generation, we have essentially accepted that things will never change. We’ve lost hope. It’s why more people vote in Big Brother Africa than in our General Elections. It’s why most of us are too busy to register for a PVC, but we’ll stand in line for days at the VISA Center – further proof that nowadays, for the average citizen, the ultimate Nigerian Dream is the one in which you get to escape Nigeria. For many years, I’ve been a vocal critic of leadership and bad governance in Nigeria, and a vocal proponent of young people participating in the political process. And yet, the turn out is never good enough, because we simply just don’t care enough to do what it takes. I realized that all my years of Activism in Nigeria, didn’t amount to much more than my plight as an Arsenal fan. You see, as Arsenal fans, we love our club, but we knew it was time for change. We complained, we tweeted, we held up banners at the stadium, we shouted and hashtagged for many years. But until the people who were a part of the system – the board, the shareholders, the executives etc – until THEY decided that it was time for change, all of that noise would not have amounted to anything. Our former coach could have remained in that position until the day that he died.. and there’s not a damn thing any of us could have done about it. The same can be said for Nigeria. Until the day that we decide as a generation, to get involved with the affairs of our country, nothing will EVER really change. The time has come for us to play our part. We can no longer afford to remain mere spectators. Getting a voter’s card alone is no longer enough; because that does not give you a say in putting up the kind of candidates that you believe in. We must take things one step further by building a new political platform for this generation. One that is not built for selfish interests.. but one that is built off of a shared vision and ideals. One that will put up the right kind of candidates: people with Integrity, the right intentions and the intellectual capacity to lead. People with vision and the ability to execute. Make no mistake, WE ARE a generation in a battle for the soul and direction of our country, BUT we ARE stuck in a lose-lose situation. But when you’re in a lose-lose situation, you don’t pick sides. You change the situation. It’s time for us to do that. It’s time for us to hope and believe again. It’s time for us to work and build. 25 years ago, the majority of Nigerians overwhelmingly bought into a vision called “Hope ‘93”. We had the freest and fairest elections in our Nation’s history, and elected a great man called MKO Abiola into the Presidency. May his soul rest in peace, and his sacrifice not be in vain. Our Country’s trajectory might have been very different, had he been allowed to live and assume his rightful position. Back then, it didn’t even matter that he fielded an all Muslim ticket… because poverty, lack, and suffering do not discriminate. Unemployment, lack of infrastructure, a declining educational system, poor healthcare, gender inequality… these are issues all Nigerians are struggling with whether we are Christian, Muslim, or Atheist… Yoruba or Igbo, Hausa or Ijaw, Edo or Delta, Efik or kanuri. Our generation does not really believe in the existing powers that be on both sides of the divide.. and for good reason. We have been taken advantage of and lied to.. we are tired and disenfranchised. We are frustrated and suspicious. We don’t believe in our current political options, so it’s time for us to build our own. We want a seat at the table of Governance in Nigeria, but we must bring our own chair. Because if we are to get in toleadership, it MUST be on our own terms and conditions, with our own vision and set of ideals… otherwise we risk being marginalized and handcuffed by the same systems we are criticizing. And this vision is for beyond 2019, and for more than just the office of the President. It’s about every electable office in this country. We must start now to build a movement towards 2023 and beyond, otherwise, in every election we will find ourselves in this exact same spot. We want to fix Nigeria, but we must begin by rebuilding our communities. Everybody seems so obsessed with the Presidential race – it’s one of the most frequent suggestions I get – “Banky W, run for President”. But see, like I said earlier, I do believe in dreaming big, but I believe in starting small, and working your way up. Hope is what we needed in ’93. 25 years later, hope is what we’ll need in 2019. And it is with the greatest sense of humility, purpose and destiny, that I announce my candidacy for the 2019 Federal House of Representatives, in the Eti Osa constituency of Lagos State. I have spent the majority of my life in Eti-Osa. It is where I went to Primary school and part of Secondary School. It is where I have built my home, and my business; it is where I plan to spend the rest of my life, with my wife and the children I pray God blesses us with. Most of the friends I have, most of the businesses I admire, and even most of the businesses that inspire our entire country are based here. The economy of Eti Osa is central to the Nigerian Economy, with a GDP contribution that dwarfs several states combined. And yet in spite of all this, it’s no longer a secret that much like Nigeria at large, the people in our neighborhoods are yearning for better representation, across local, state, and federal levels. Eti-Osa is infact, a microcosm of Nigeria as a whole. It is home to people from various backgrounds… it is home to the Market women in Ajah, the billionaires in Banana Island, the creatives living in Lekki, and the multicultural ethnicities in Obalende. We have people from various tribes and tongues, people from all walks of life.. extreme wealth, and extreme poverty. There are things that we should be proud of, and there are plenty areas for improvement. This is the headquarters of Corporate Nigeria, a model that has continued to encourage investors both local and foreign to sow into our country. And yet we still have residents who cannot afford 3 square meals a day. Everyone knows that we have generated trillions of Naira at our toll gates, yet we still have potholes. We have the very best and worst of education in our school system and the same could be said of the healthcare in our hospitals. However this is not the time to point fingers and accuse. It is the time for all our leaders and citizens to come together, across party lines, and work with each other to love, rescue and rebuild our society. If Nigeria is to work as a country.. then Eti Osa must first work as a community. We must team up, with each of us playing our part, to make this the most desirable local Government in the country, and that will inspire others to do the same. My legislative agenda and detailed manifesto will be shared on my website, and I encourage you to please take a look at it in the coming weeks and engage me on the issues of job creation, gender equality, youth inclusion and empowerment, affordable healthcare, and education. I would love to hear from my constituents, current leaders in Government, regardless of background or affiliation – we can do this, if we do it together. That is how we can fix Nigeria, one community at a time. Our generation needs a realistic rallying point. We need to begin in community, earn our way into the system and up the ladder. We need someone to stick their neck out and pave the way. The problem is that we’ve always looked only to our leaders for change… instead of looking in the mirror and at the neighbors around us. Isn’t it ironic that we are the ones we’ve been waiting for all along? I have shared this vision with quite a few people. Some have been incredibly supportive, but some have advised against it. I am under no illusions that this run will be easy. Considering the machines we are going up against, some THINK it is impossible. They said we don’t have the money to run.. we say we our strength lies in our numbers. They said we don’t have the structure, we say we will attempt to build it. They said “what if you lose”? I say, what if we win? At the end of the day, hope may be all we have, but I believe that it is all we need. Thank you and God bless Nigeria.